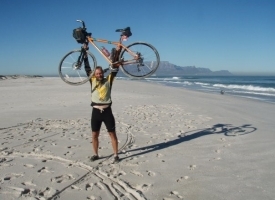 Click here to read our previous TDA Super Alumni profile of Brett Lanham, who has ridden over 50,000 km with us. In the coming months we will be writing rider profiles of our most dedicated riders in a series called TDA Super Alumni. If you would like to join in the fun by telling your cycling and other life adventure tales to our website readers, just send a request by email to our office and we will send you the details. We begin with Svend Paulsen, from Oshawa, Ontario, Canada, who recently turned 65 years young. Tell us a bit about your background, where you grew up and live, what your working career is/was, and what got you started into cycling. I have been retired from Teaching for over 8 years now. I taught in Quebec and then Ontario for 37 years, at all levels, focusing mainly on Physical Education but also some French. I became very involved in Athletics as a Coach and even moreso in officiating. As an Official I worked myself up to level 5 international in the Vertical Jumps and had to opportunity to work many World Championship events in Canada. Because I was so involved in coaching and officiating I did little traveling. My first biking experience was in 1976 when my car was stolen from Lakehead University where I was studying. In order to get home from Thunder Bay I bought a bike and rode 1600 km to Montreal to watch the Olympics and an athlete I had been working with. 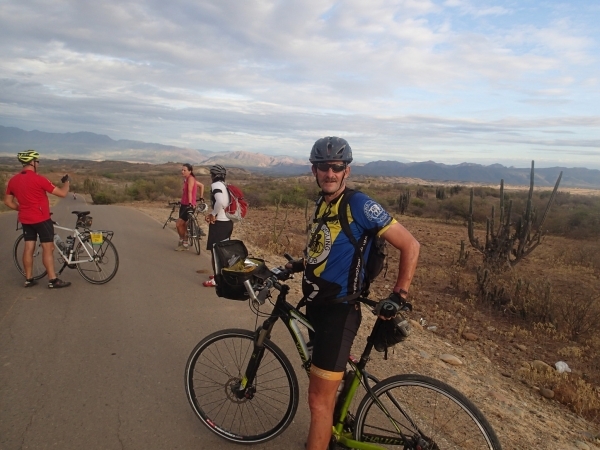 What prompted you to decide to start doing long distance cycle touring? My next big adventure was in 1981. Again I needed a break so I jumped on a bike and took off for 15 months solo, visiting west coast Canada & USA, New Zealand, Australia, and then back to Montreal. Coaching, officiating and teaching occupied most of the 1990’s until I starting riding again in 2007. I was nearing retirement. I had a group of friends who always canoed, hiked and biked but I never went with them because I was too involved. I became involved. One ride my buddy Frank Smith mentions a company called Tour d’Afrique . Along with another buddy, Hinchy (John Hinch), we decided to join. We were all retired. So in 2009 we did our first trip. It was great. We look back upon that trip and never forget the friends we made. Since then we continue to bike together in and around Oshawa. We have done some small excursions together, namely our own Tour de Cottages in September. What places/moments have been the highlights of your cycle touring career? There are too many to mention. In 2010 I did the abbreviated version of the Silk Route from Istanbul to Samarkand. I then flew to Saint Petersburg and cycled the Amber Route to Venice. From Venice I continued on my own, self-contained through Italy, Austria, Switzerland, Italy again, Greece and then back to Istanbul. In 2011 I joined TDA’s second South American trip from Buenos Aires to Lima. In 2013 I attempted the first Bamboo Road but unfortunately 4 days in I had an accident with a moped. I returned to Canada to have my left elbow replaced. 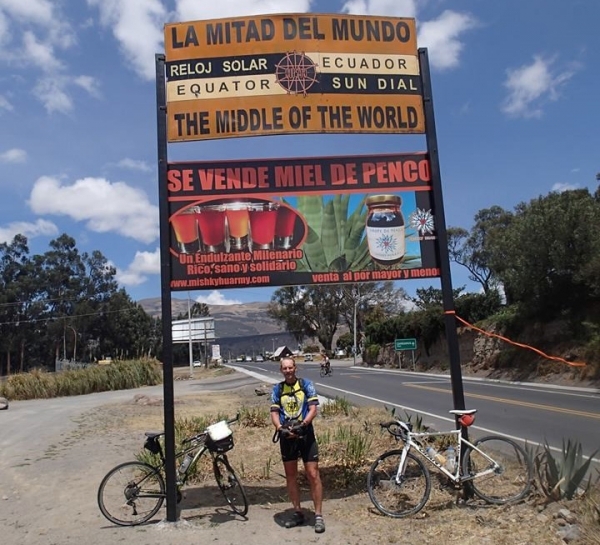 2015 saw me receive a new left hip and 6 months later cycle the South American Epic from Cartagena, Colombia to Ushuaia, Argentina. The hardest was the last SA Epic mainly because the first two weeks were very tough when we were still getting our riding legs. All told with TDA I have biked around 42,000 km. My goal is to complete the 7 Epics. 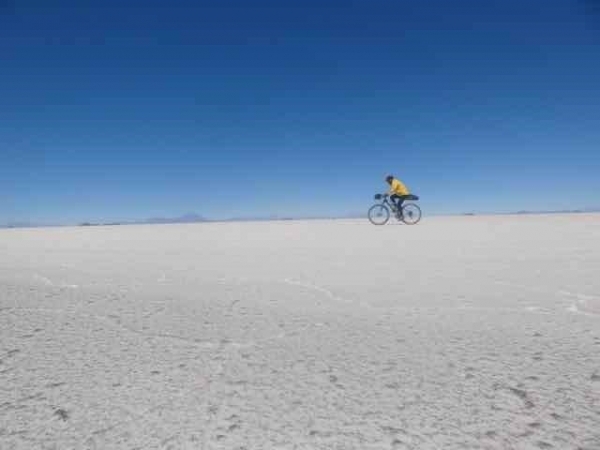 Beyond cycling, what other amazing travel adventures have you had? I tried a few Triathlons in the mid 80’s. And a few months ago I went to Antarctica after finishing the South American Epic. Tell us about your favorite cycling tour bike. I have always used a hard tail mountain bike. I love Schwalbe Marathon Plus tires. What life lessons has cycling given you? I do not want to bike by myself any more. I like the challenge of not knowing what to expect each day while having the support of all the new friends around me. The one thing that brings me back is the people of like mind that I now can call life long friends. With TDA it is a very simple life. Get Up, Eat, Ride, Eat, Talk, Sleep. But as I said, it’s the people that I meet that I remember the most. 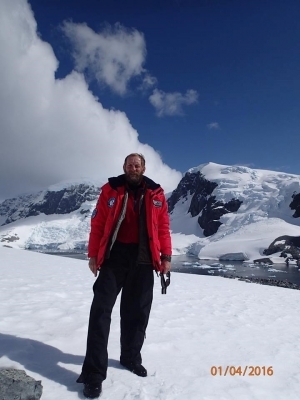 3 comments for "TDA Super Alumni profile: Svend Paulsen"
Lovely life you have led. You are a beaut . Continue enjoying your ride. Inspirational to all. Jim and I just read this article about you! Ask us if we were impressed! From now on, we’re calling you Superman! Or should we say Super Rider! Enjoyed reading about your adventures. In awe of your travels. Hey Svent, we still did not manage to meet again after our oh so brief meeting on the Bamboo Road. When the heat subsides I could come for a ride your way or you come to Burlington to ride around Hamilton Bay. Joining Trans Oceania in Auckland to Queenstown this November. Send me a note!!! 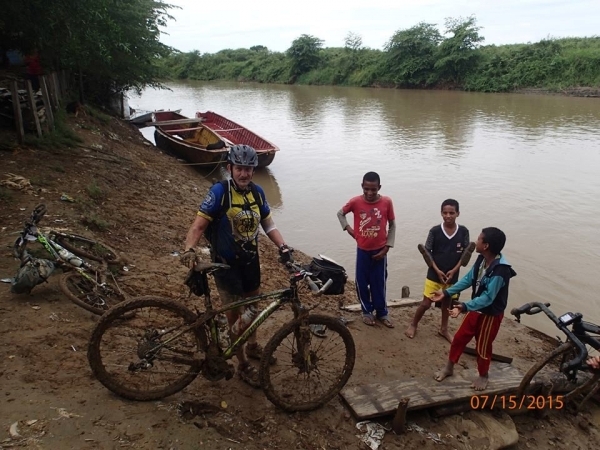 Leave a comment for "TDA Super Alumni profile: Svend Paulsen" by visiting the original post on our TDA Global Cycling blog.